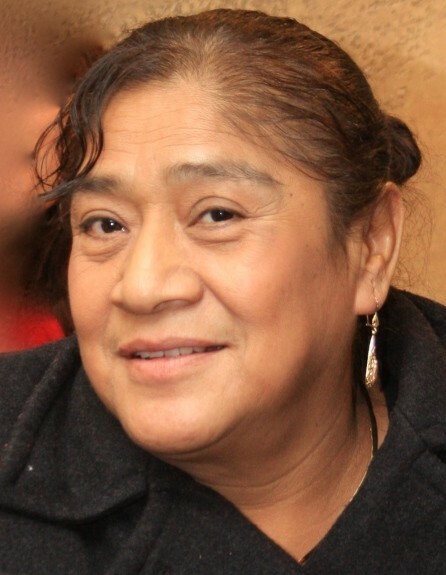 Lucrecia Cenobia Magno Martinez of Rochester, Indiana passed away at 10:27 p.m. on Saturday, March 30, 2019 at Lutheran Hospital of Fort Wayne, Indiana at the age of 64. She was born on October 30, 1954 in the town of San Lucas Colucan, in the Municipality of Izúcar de Matamoros in the State of Puebla, Mexico to Carmen Castillo Ariza and José Magno Orea. She was married to Vicente Martinez de Dios, he passed away on December 9, 1988. Lucrecia lived most of her life in Mexico and was a charity services volunteer and a farm laborer. She had been living in Rochester, Indiana for the past 22 years and attended Our Lady of Guadalupe Catholic Church of Warsaw. She will be remembered as a caring mother, grandmother and sister…and will be dearly missed by her family. She will be lovingly remembered by her three sons: Celestino (Maria) Martinez Magno (Milford, Indiana); Lucino (Kelli) Martinez Magno (Warsaw, Indiana); Alex Margarito (Jennifer) Martinez Magno (Claypool, Indiana); two daughters: Teresa (Gregorio) Gonzalez (Rochester, Indiana); and Lilia Martinez Magno (Silver Lake, Indiana). She also leaves behind fifteen grandchildren, two great-grandchildren; two brothers: Juan Magno Castillo and Mariano Magno Castillo (both of Mexico); three sisters: Florencia Magno Castillo (Mexico); Rosa Magno Castillo (New York); and Angela Magno Castillo (Mexico). She was preceded in death by her parents, son, Sergio Martinez Magno, a stillborn son, and her sister, Isabel Magno Castillo. Visitation will be held on Friday, April 5, 2019 from 2:00 – 8:00 p.m. at Redpath-Fruth Funeral Home, 225 Argonne Road, Warsaw, Indiana. Her funeral mass will take place at 10:00 a.m. on Saturday, April 6, 2019 at Our Lady of Guadalupe Catholic Church, 225 Gilliam Drive, Warsaw, Indiana and celebrated by Father Constantino Rocha. Burial will follow with a graveside service at Oakwood Cemetery of Warsaw.